Fortnite is celebrating the most romantic time of year with new features and rewards for players. 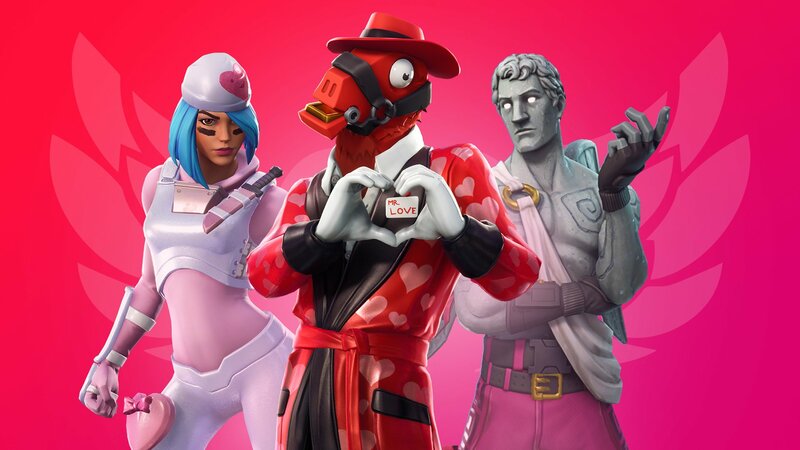 To celebrate Valentine’s Day, Fortnite is launching a Share the Love event that will run from February 8 to February 27, 2019. There’s a lot going on in this event, so here’s quick breakdown of what players can look forward to. First, Battle Royale players will earn double the normal amount of experience points as they play from February 15-17 and from February 22-24. In addition, players who use the game’s “Support A Creator” feature, or who activate this feature on their account between February 8 and February 22, will receive a free Cuddle Hearts wrap when the game’s version 7.40 content update launches. Wraps were added at the beginning of Season 7 in Fortnite: Battle Royale. They’re stickers that can be used to decorate in-game vehicles and weapons to change their appearance. Fortnite introduced the Support A Creator program last fall. It lets players support their favorite online content creators (like YouTube creators and Twitch streamers) by selecting a creator that will earn a portion of the V-Bucks (in-game premium currency) they spend during a set period of time. Players can choose to support any of the content creators that have been accepted into the program. Once the version 7.40 content update launches, players will also have the chance to complete new Overtime Challenges. 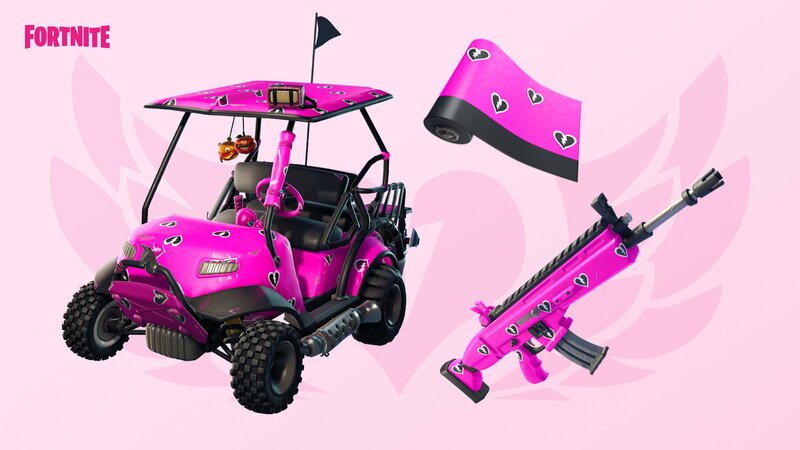 If players can complete all of these new challenges by the end of Season 7, they’ll receive five in-game rewards including a Valentine Wrap and Vines Contrail. 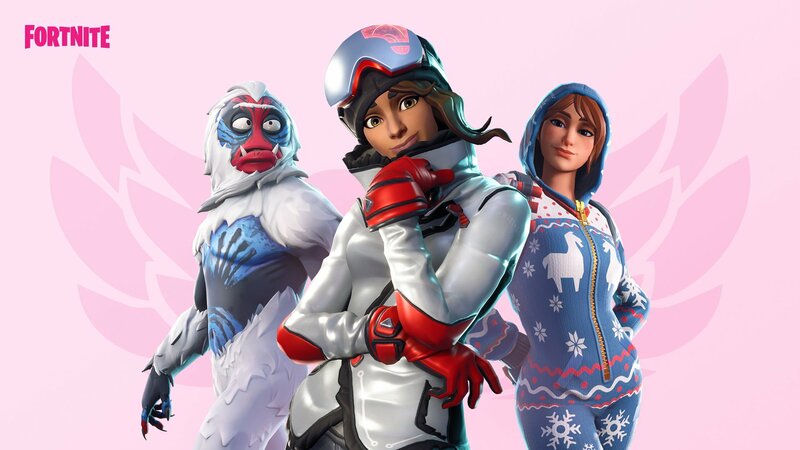 If players own the Season 7 Battle Pass, they can receive “new unlockable styles” for the Trog, Powder, and Onesie character outfits for completing the Overtime Challenges. Remember, parents, these are cosmetic rewards, and players aren’t required to purchase the Season 7 Battle Pass to play the game. In Fortnite Creative, a Featured Island Frenzy event will start February 12 and end February 22. During this time, a new set of featured islands will show up in the mode every day. Creative is the game’s latest major mode, which gives each player an island to build on, with their progress being saved even when they quit the game. Finally, a Share the Love Competitive Series is being held, with “placement matches” taking place on February 9 and 10. More information about this competition can be found on Fortnite’s website.